Our chandeliers are made up of a variety of materials including bronze, iron, and wood and feature an array of beading and pendants. Since we carry such a wide variety of sizes and styles, there are plenty of options for whatever room you want to highlight! Browse our collection and find the perfect piece to make your space shine. Regina Andrew Lighting Vanessa Basin ChandelierRegina Andrew combines vintage accents, contemporary details and natural elements to create a truly unique collection of lighting and home furnishings. Regina Andrew Lighting Dior Chandelier LargeRegina Andrew combines vintage accents, contemporary details and natural elements to create a truly unique collection of lighting and home furnishings. Regina Andrew Lighting Dior Chandelier SmallRegina Andrew combines vintage accents, contemporary details and natural elements to create a truly unique collection of lighting and home furnishings. Regina Andrew Lighting Vanessa ChandelierRegina Andrew combines vintage accents, contemporary details and natural elements to create a truly unique collection of lighting and home furnishings. Regina Andrew Lighting Cascade Capiz Shell ChandelierRegina Andrew combines vintage accents, contemporary details and natural elements to create a truly unique collection of lighting and home furnishings. Regina Andrew Lighting Cheyanne Antler ChandelierRegina Andrew combines vintage accents, contemporary details and natural elements to create a truly unique collection of lighting and home furnishings. Regina Andrew Lighting Nimbus Glass Chandelier - ClearRegina Andrew combines vintage accents, contemporary details and natural elements to create a truly unique collection of lighting and home furnishings. Regina Andrew Lighting Trillium Chandelier SmallRegina Andrew combines vintage accents, contemporary details and natural elements to create a truly unique collection of lighting and home furnishings. Regina Andrew Lighting Summer Glass Bead Chandelier SmallRegina Andrew combines vintage accents, contemporary details and natural elements to create a truly unique collection of lighting and home furnishings. Regina Andrew Lighting Poppy Glass Chandelier - ClearRegina Andrew combines vintage accents, contemporary details and natural elements to create a truly unique collection of lighting and home furnishings. Regina Andrew Lighting Cheshire Chandelier Small - Oil Rubbed BronzeRegina Andrew combines vintage accents, contemporary details and natural elements to create a truly unique collection of lighting and home furnishings. Regina Andrew Lighting Cheshire Chandelier Small - Gold LeafRegina Andrew combines vintage accents, contemporary details and natural elements to create a truly unique collection of lighting and home furnishings. Regina Andrew Lighting Summer Glass Bead Chandelier LargeRegina Andrew combines vintage accents, contemporary details and natural elements to create a truly unique collection of lighting and home furnishings. Regina Andrew Lighting Charlotte ChandelierRegina Andrew combines vintage accents, contemporary details and natural elements to create a truly unique collection of lighting and home furnishings. Regina Andrew Lighting Cheshire Chandelier Large - Oil Rubbed BronzeRegina Andrew combines vintage accents, contemporary details and natural elements to create a truly unique collection of lighting and home furnishings. Regina Andrew Lighting Cheshire Chandelier Large - Gold LeafRegina Andrew combines vintage accents, contemporary details and natural elements to create a truly unique collection of lighting and home furnishings. Regina Andrew Lighting Beatrice ChandelierRegina Andrew combines vintage accents, contemporary details and natural elements to create a truly unique collection of lighting and home furnishings. Regina Andrew Lighting Neo Chandelier Small - Polished NickelRegina Andrew combines vintage accents, contemporary details and natural elements to create a truly unique collection of lighting and home furnishings. 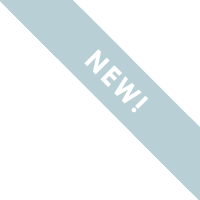 Regina Andrew Lighting Neo Chandelier Small - Oil Rubbed BronzeRegina Andrew combines vintage accents, contemporary details and natural elements to create a truly unique collection of lighting and home furnishings. Regina Andrew Lighting Neo Chandelier Small - Natural BrassRegina Andrew combines vintage accents, contemporary details and natural elements to create a truly unique collection of lighting and home furnishings. Regina Andrew Lighting Jett Chandelier - WhiteRegina Andrew combines vintage accents, contemporary details and natural elements to create a truly unique collection of lighting and home furnishings. Regina Andrew Lighting Neo Chandelier Large - Polished NickelRegina Andrew combines vintage accents, contemporary details and natural elements to create a truly unique collection of lighting and home furnishings. Regina Andrew Lighting Neo Chandelier Large - Oil Rubbed BronzeRegina Andrew combines vintage accents, contemporary details and natural elements to create a truly unique collection of lighting and home furnishings. Regina Andrew Lighting Neo Chandelier Large - Natural BrassRegina Andrew combines vintage accents, contemporary details and natural elements to create a truly unique collection of lighting and home furnishings. 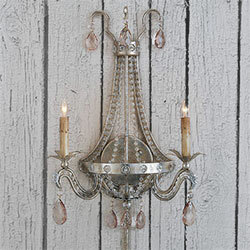 Regina Andrew Lighting Mini Diva Chandelier - AquaRegina Andrew combines vintage accents, contemporary details and natural elements to create a truly unique collection of lighting and home furnishings. Regina Andrew Lighting Molten Spider Large With Clear Glass - Polished NickelRegina Andrew combines vintage accents, contemporary details and natural elements to create a truly unique collection of lighting and home furnishings. Regina Andrew Lighting Molten Spider Large With Smoke Glass - Natural BrassRegina Andrew combines vintage accents, contemporary details and natural elements to create a truly unique collection of lighting and home furnishings. Regina Andrew Lighting Molten Spider Small With Clear Glass - Polished NickelRegina Andrew combines vintage accents, contemporary details and natural elements to create a truly unique collection of lighting and home furnishings. 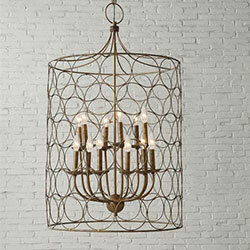 Regina Andrew Lighting Molten Spider Small With Smoke Glass - Natural BrassRegina Andrew combines vintage accents, contemporary details and natural elements to create a truly unique collection of lighting and home furnishings. Regina Andrew Lighting Canoe ChandelierRegina Andrew combines vintage accents, contemporary details and natural elements to create a truly unique collection of lighting and home furnishings. Regina Andrew Lighting Ofelia Chandelier Large - Silver LeafRegina Andrew combines vintage accents, contemporary details and natural elements to create a truly unique collection of lighting and home furnishings. 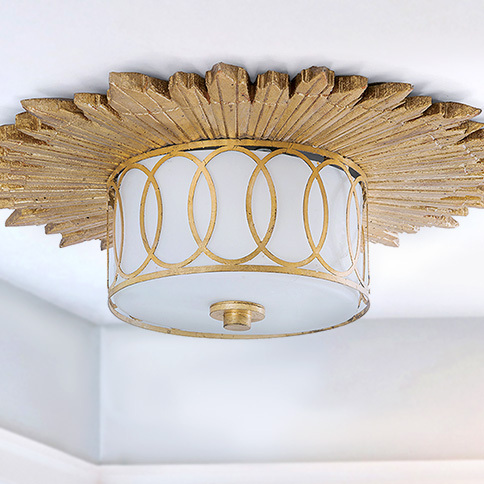 Regina Andrew Lighting Fusion Chandelier - Gold LeafRegina Andrew combines vintage accents, contemporary details and natural elements to create a truly unique collection of lighting and home furnishings.